Public Engagement and Impact in Research – what’s it all about? I recently attended a lecture (conference)* on Public Engagement. I had always been aware of what Public Engagement was from working at Life Science Centre in Newcastle, and being present at various Science Festivals that they had hosted in the five years I worked there. Although I was not in the public engagement side, everyone’s job included some form of public engagement, from drawing the visitors in to ensuring their day was engaging and fun. Anyway, when the opportunity arose, I decided to attend a conference aiming to raise awareness of public engagement in Edinburgh Napier and also exploring some of the reasons behind pushing public engagement within research. I was not really sure what the event was, but the organiser, Bill, suggested going along to get some more information on the whole thing… so I did. From attending I did learn a lot. Firstly, public engagement doesn’t necessarily mean telling people about your research. It means getting people involved, allowing them to see what the real-life implications are and how it can affect them. So as an example, a researcher may be in the investigatory stages of planning their research and may feel they would like to get others involved. They may publicise the ideas behind the research and demonstrate how this could be used by the general public. They may attend lectures, conferences and seminars, but most importantly, they need to try and reach out to the people who really matter – the target audience. Understandably, in the first few weeks of my research, this is not something that I was immediately thinking about. However, when developing the uniqueness of the research and finalising the research questions this is definitely something that I will need to factor in. So, who would benefit from my research (employers, organisations, support agencies, individuals for example)? Why is the research individual or why does it differ from other research carried? More importantly, how does it have impact? I found out yesterday that a lot of things can rest on impact, one main thing can be funding. If a piece of research is going to benefit someone then the support from others may likely increase, whether that be financial or non-financial. This can be of particular important when in competition for funding, specifically if research is funded by one of the Research Councils in the UK. For me, my research is funded by the Economic and Social Research Council (ESRC) so I know my research needs to have impact and I know that I need to understand what impact means in terms who the research may benefit when engaging with these people. When searching on the ESRC website, I came along this handy section that explains all of this, so if your research is funded, or potentially funded by the ESRC, this is something to consider and you may want to take a look. I also learned the importance of public engagement and impact when it comes to the Research Excellence Framework (REF). Every few years, an assessment of the quality of research within higher education institutions of carried out, with the next one being in 2020. This is the REF. As explained yesterday, REF 2020 will be making assessments based on impact and aspects of public engagement, so any research submitted for REF needs to have its impact highlighted to help support the department and university in achieving the best results possible. The assessors will be focusing a lot more on how public engagement can be involved and also the impact of the research itself, not surprisingly, both may potentially be linked in terms of getting the research out there and exploring how it can be used. For me, the event gave me some things to consider. Firstly, how can I engage the audience with my research when presenting at future conferences? This is something for me to work on in the coming months if I want to present my work well and ensure that my points are heard and remembered. Secondly, is there anything else I could be doing to help me prepare for this and if there is, why am I not doing it? Finally, how can I demonstrate the impact of my research and ensure that it has enough impact to make it unique? During the research I will be able to answer these as I go along, but for now, it’s good to keep these in mind as engagement with and impact of research are important aspects and should be highlighted throughout. *Edinburgh Napier Public Engagement Conference held at Edinburgh Napier Merchiston Campus on 26th October 2015. Presented by Professor Bill Buchanan (Professor in the I School of Computing, Edinburgh Napier University). Doing some research: getting to grips with your field of study from an ‘outsider’s perspective’. I can focus a lot better on reading when I have no distractions. I thought I would share some thoughts on a book that I have read this week, so that I can share my experiences in what I have learned. So this week, I was set the task of reading a book aimed at discussing Information Science, coincidently called ‘Introduction to Information Science’ by David Bawden and Lyn Robinson (2012). My main goal was to understand how this book (and its content) relates to the project proposal which is the basis for my research, and to then explain this to my supervisor in my next supervision. Really, this was kind of the starting point. If I wasn’t able to understand this then I might struggle with the topic, not necessarily the technical aspects, but the concept of the topic overall. Anyway, to help me understand the book and its relation to the proposal in terms of context, my supervisor set me the task of writing a short book review which I am going to overview for you now. Challenge accepted. So the book begins with a general introduction to what Information Science is (chapter one) and gives specific explanation to its purpose. From my reading, I now understand that it is both an academic discipline as well as professional practice. I found this a really important aspect as a PhD (or any form of research in that matter) is kind of both – a researcher needs to be able to do the research to a standard of the academic background it is designed for and contributes to, but also needs to explore the practical implications and how this can influence professional practice. In the case of my research, I hope it does both. 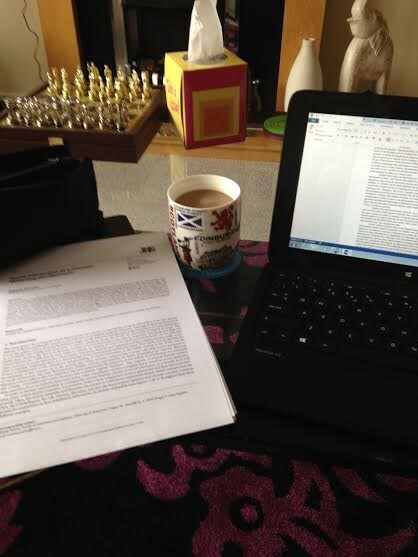 With the support of Skills Development Scotland, it is highly important that my research involves both staff members form the team as well as being able to explore the practical implications (and recommendations) in terms of how the work can be applied to the practitioner perspective. My question is, how can a piece of research NOT be both academic and have practical implications at the same time? Overall, Information Science is the dealing with effective collection and storage of information as well as how it can be retrieved. It is concerned with recordable information and knowledge derived from this, as well as how technologies and related services can support and facilitate the management and use of this information and knowledge. Information Science is the field that includes study of all or some of the processes involved. It can also be seen as a form of a social science, mainly due to the information practices that can be studied, and even more importantly, the people involved are normally groups of people who have some form of shared background or interests in common (this could be a group of employees, academics, library services etc.). I found that this was quite a complex thing to get my head around, I wasn’t sure which parts were important for my research and which were not. It turns out most of these aspects are important in some way as my research does hope to have emphasis on the development and management of knowledge (Knowledge Management, KM) and potentially what factors are important in facilitating workplace learning within an organisational context. As the chapter progresses, it explains a few different views on the topic and through chapter gives some historical background on how information science has developed. This includes the development of networks / groups which are still strong today, and also the development of some of the most prestigious journals available, such as ‘Information Processing and Management’. The chapter even goes as far as explaining that even educational programmes were developed, from college level up to Master’s degree level. You will find that degrees are quite common nowadays and many universities offer Information Science related (or specific) master’s degrees and courses related to this. Chapter three was one of my favourites and moved on quite well to chapter four which discussed some of the basic concepts within Information Science as a field of study – the philosophy behind it all!!! Well, okay I can’t say that I have a passion for philosophy or understand it all, but I did study it through my A-Levels and also through my bachelor’s degree in terms of research, so as long as I can see the applications and reasoning behind it I’m all good. Bawden and Robinson explain several approaches, perspectives and paradigms including a constructive approach and also the cognitive paradigm. More importantly for me, they discussed the Socio-Cognitive Paradigm which concerns the interaction between social and the individual, which could link in nicely with how individuals acquire knowledge and share it with others. One of the most prominent things that I took away from this chapter (and which was also mentioned in chapter fourteen, focusing on research aspects) is that the philosophy behind the research can be linked to what research questions a researcher wished to address. In some cases, the research questions may dictate (kind of!) the philosophical approach in terms of how the research will be carried out. Chapter fourteen draws upon this and explains the importance of using different research methods in gathering data, analysing evidence and using your research questions to help shape the gathering of the data to answer the questions as comprehensively as possible. A good example which came to mind is that in the case of the current proposal, looking at factors that underpin workplace learning may benefit from both a constructivist approach in that reality is constructed by individuals rather than there being one single objective reality. This could be the case (although there could be other approaches relevant that are mentioned in the book, this was just an example I thought of when reading along) as an individual might have an influence on how they learn, and how others earn around them depending on their own experiences and environment. To explore this, I could use both qualitative and quantitative methods, depend on how the research plan goes and what research questions are finally decided upon. I then encountered a concept that I had not heard before, and from reading the rest of the chapter, I still did not understand it by the time it came to my supervision – ‘domain analysis’ (chapter five). I was not really sure what it was so my supervisor explained it better. A domain could be the overall description of all of the processes involved, so from information creation, storage, dissemination and to the communication of this information to other. The ‘domain analysis’ would be the study of parts or the whole domain in order to potentially apply this to the context that the domain is set in. So for example, if it was a system of information within an organisation, the research may study the processes involved in learning new information, the people and processes involved in this learning, and then make recommendations to things like how to improve certain parts of the ‘domain’ itself. Quite nicely, then moving onto chapter six that discussed what an information organisation was. Primarily, it focused on what could be considered an information organisation was, but then reflected my own research in explaining that the purpose of an information organisation may be to help us understand the structure of knowledge itself, and how this might be derived from the physical documents and information that the knowledge comes from. Chapter seven had a slightly different focus and the chapters that followed helped me to determine how Information Science underpins what the research aims to do. In brief, this chapter explores the important of information technologies themselves focusing on the actual tools involved. During this chapter I slightly of questioned a specific part of the proposal. We aim to explore some of the training and skills aspects of workplace learning. Would the change in environment and context influence the learning of information (chapter ten)? What I questioned was whether the development of technologies would include the learning itself and whose responsibility would it be to keep the employees up-to-date with the technological advances discussed in chapter seven??? Moreover, would the learning of the employee be influenced by the digital literacy (chapter thirteen) of the person, in other words, can they use the information effectively regardless of what form it comes in? Throughout reading this book, I found that chapter eight and nine were two of the most important, not only because of their content, but these might be chapters that I would need to refer back to later during my literature search. Firstly, informetrics! This is the study of the qualitative aspects of resources and information and how this information can be communicated, basically through creation and communication of the information itself. I feel that the communication of information is very important. It might be that some people have information right in front of them, but if this is not communicated effectively, how can knowledge be created form this? How can they know what the information means? Would this impact on their learning? This relates well to the information behaviour explained in chapter nine in that information behaviour is the study of human interactions with behaviour, particularly groups of people rather than individuals. It concerns the interactions of those involved, and takes information needs into consideration too – in sum, knowing what you need to know. I will not go on to explain the different theories and models the book discusses, but I can say that the aim of the models are to show factors that are involved in information behaviour, and how these can paint a picture of the different processes involved in the seeking and use of information (behavioural, process, cognitive models etc). This was kind of a win-win for me as although my research will not be looking at this directly, this can be used when exploring workplace and organisational learning and exploring important factors within the concept. While reading chapter eleven, one thing did arise – I did not know much about Social Informatics. From this, it my supervisor advised doing some extra reading around this and also give me an article to get started. So for now, I cannot comment a lot on this but at least I know my plan for the next couple of days. I finally got to chapter fifteen, and with a *hurrah* of ‘I’m nearly finished the book’ and being quite pleased that I thought I understood most of it, the future directions of Information Science were discussed. Realistically, the exact future cannot be predicted. Nobody truly knows how research will go, what directions it will take and how a field will develop. This is why the book is important overall, it highlights how diverse the field of Information Science is and it is not about using the whole field, but using the individual parts to highlight where the gaps are and directing your research in a way that represents and reflects the nature of the field, capturing its uniqueness all in one. The future has not yet been created and it’s up to you to make this happen. So that’s how my learning has been this week. I purposely haven’s included lots of references form the book, mainly as they are there in the book and I would strongly recommended that anyone who is either studying, or interested in Information Science to read it. I did, and it has helped me understand the area in a way that I didn’t before and now I can see how it links with the research proposal in hand. Sharing my experiences will hopefully help others focus on their topic and gain some knowledge on the field before searching further. So I decided to move to Edinburgh and wave bye bye to the North East. The first blog post is always the hardest. Firstly, because at this point in time, I have no clue what to say and secondly as I have never blogged before (and thirdly, because I don’t like writing about myself, but I have been reassured that this feeling will reduce as I go along..!!!). Oh I forgot about choosing a name – so I decided that it’s my name as it’s my blog, simple. I will not bore you with the repetitions of who I am, but you can find this on the ‘About me’ page if you really do want to know. Well anyway, I did something amazing. I started a PhD. Okay, no big round of applause as many people start a PhD, but really, after three years of trying to find one (and more importantly get accepted onto one) where I really love the idea of the project, I have finally done it. 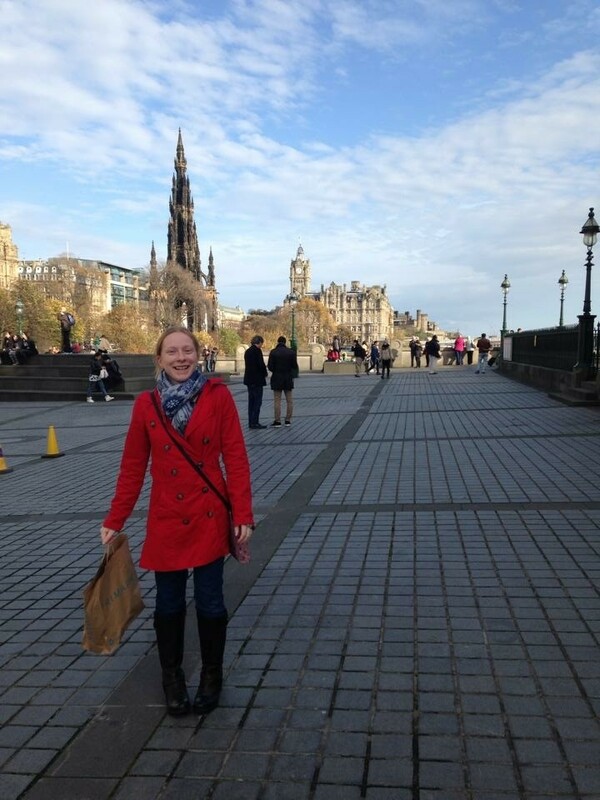 Not only that, something else has happened… I moved out of North East England *gasps*. Well, not too far, but Edinburgh is not England. 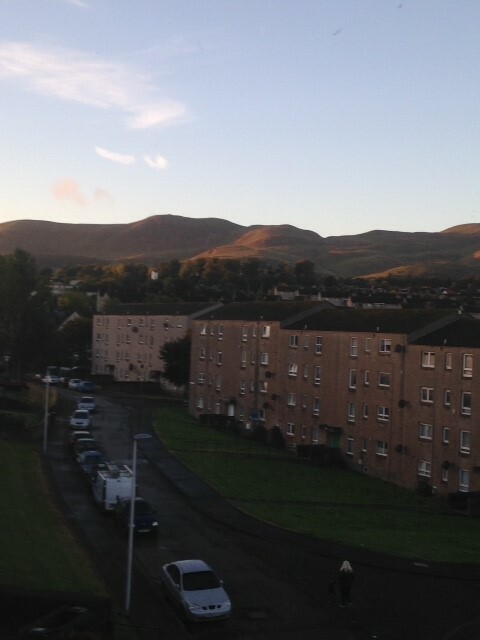 It is Scotland, and ‘bonnie’ Scotland it is (I am currently staring at a view of the Pentland Hills from my living room window, what a view!). It’s far enough for people to know you are not from Scotland and can clearly identify you are from the North East. I would be lying if I said no-one had commented on my accent, ha! Anyway, back to the blog which might contain some phrases here or there from the North East, but don’t worry, for those who don’t speak Mackem, I will explain them in my posts. The view of the Pentland’s can be rather distracting at times. I decided back in early 2015 that I was on the hunt for this PhD, mainly as my internship supervisor had pointed me in this direction and after weeks of saying I wasn’t interested, I caved and told myself I was (I basically just lied to myself for a while). After discussing it with my fiancé, whose initial reaction was ‘when do we move there? ?’, I decided that I would apply and so I did. This time was different as nothing rested on whether I got it or not, only my own happiness. I did not need to apply to get me out of an unhappy job, or progress my current job in the careers sector and I most certainly wasn’t doing this for anyone else, just me. I wanted to apply as I have always ‘wanted’ to apply for a PhD but after two interviews and rejections (both competing for funding, which I did not get) I then decided I didn’t just want to apply, I was going to apply and make this one my last. Yeah okay, so I was a little disheartened by the two in the past but looking back, I don’t even think I would have enjoyed the PhD process if I had got either of them. The most shocking thing was that this PhD was unusual for me, and not a Psychology topic either, but I suppose that is what drew me to it. Its not about what kind of PhD you are doing or about the name of it, it is more about choosing one you think you will enjoy and are passionate about as with everything else, the finer details can be clarified by you along the way. For me, the passion came from my work as an Adviser at the National Careers Service combined with the stuff I had learned from my research internship. In combination, it was a match made in heaven to help me decide this PhD was for me (obviously, at that time I did not know I would get it). I did not tell anyone about the application properly (except my internship supervisor) and only told them when I had an interview, mainly so I could focus on the application solely without anyone asking what I was doing and how it was coming along… this technique seems to work for me for major things, just like passing my driving test. I was probably worried about disapproval about it being far from home, having to relocate and leave a permanent job to become a student again, but I could not have asked for better support from friends, family and colleagues. Most importantly my mam, dad, sister and partner who bent over backwards to help me do this. Back home, my biggest supporters (who I love dearly and do miss every now and then) were my mam, dad and sister who helped us move to Edinburgh in record time, provided love, support and even took time off work to help us move. For this, I am forever thankful. So, to cut a canny* long story short, here I am and have moved into a lovely little flat just around the corner from Edinburgh Napier University where I have just finished the first week of PhD life. As my research suggests, I have started a PhD, but technically it’s not a PhD just yet. It won’t be a PhD until after my first annual review where my degree type is assessed and then if I prove myself worthy, and show that I have worked and that I can do it, then I will be working towards my PhD. Until then, I am a PhD student ‘in the making’ so just an ordinary research student for now. It has, however, been a little scary, not so much how daunting it may feel soon when I get my teeth into the research planning and literature, but scary in the sense that it is something new, somewhere new. I am out of my comfort zone completely and I think I quite like it. It may only be week one but I do feel a little more settled and it’s been a canny* week, more settled than the day when I left my family in the North East and cried my eyes out until I drove to Berwick (I was fine until the time I had to get into the car and drive off – these old films that make it look easy, they lie!). I have actually managed to meet most of my office and chat to them about what I am doing and where I am from etc, but most of all, they reassured me that I am not alone. Literally within the first few days, my fears of being on my own were prominent and maybe quite noticeable, but really, I’m in an office full of people on the same type of journey so if I have any problems, chances are, someone else probably has too. And after my first supervision meeting with my two supervisors, I really don’t feel on my own anymore. So from me, my advice is simple. For anyone who is starting a PhD, get to know your office folk and all of the folk that may be useful to you (like department and admin staff too – they’re all important people), talk to them and say hi. The worst thing in the world is feeling alone in a room full of people. I have also managed to meet all of the staff I need to too, and work out most of the practicalities with the help of my fellow PhD students (I’m being well looked after!) – I now have a desk, computer and emails which make me one happy person in the first instance. That is what I most fretted about before I started, wondering if everything would be ready and if I was prepared. It turns out that I worried over nothing at all and now I can focus on everything else. Let the work commence!!! For now, that is it but I’m sure I will be posting more as I go through the journey of research and delight you with what I am learning and what I am finding most interesting. *‘canny’ – North Eastern term for lengthy (also known as ‘nice’ or ‘pleasant’).